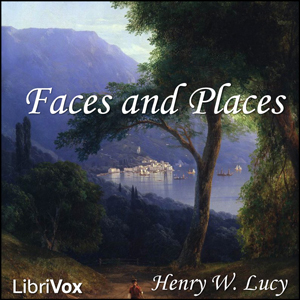 Faces and Places is a collection of articles on nineteenth century travel, events and personalities by the British journalist Henry Lucy, who wrote for the Daily News, a London newspaper. His open letter To Those About to Become Journalists rings as true today as when it was written. The first article, "Fred" Burnaby, includes a lively account of a balloon trip, while Night and Day on the Cars in Canada and Easter on Les Avants relate Lucy's experiences of rail travel at that time. Other travel tales (A Night on a Mountain, Mosquitoes and Monaco, and Oysters and Arcachon) provide an insight into the Victorian Englishman's attitude to Europe. Three of the pieces, With Peggotty and Ham, A Cinque Port and Christmas Eve at Watts's, concern the county of Kent, where Lucy had a country house. Christmas Eve at Watts's contains an interesting exposé of Dickens' short story The Seven Poor Travellers. Other articles are of historical interest: A Wreck in the North Sea is an account of the wreck of the ship "Deutschland" in 1875; A Historic Crowd describes the massive popular interest in the 1871 trial of the Tichborne Claimant; The Battle of Merthyr contains an eye-witness account of the Merthyr Riots of 1831; The Prince of Wales paints a portrait of the future King Edward VII. Lucy, who also wrote as "Toby, M.P." for the satirical magazine Punch, loved to poke gentle fun, particularly at the establishment, and this is especially evident in A Peep at an Old House of Commons and Some Preachers I Have Known.